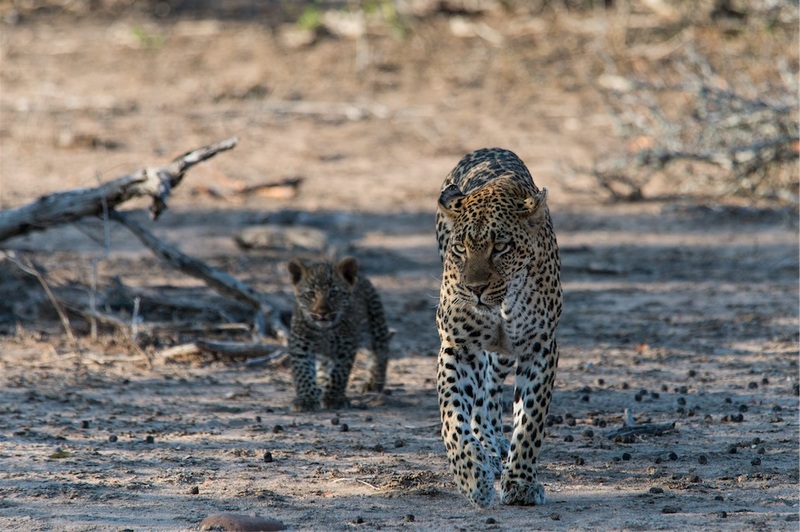 Jacques says they found the female leopard which lead her young male cub away from a den site they knew about. 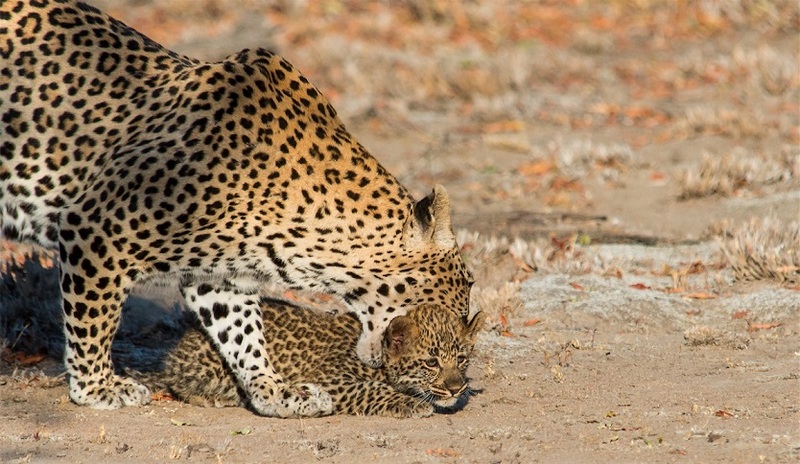 The leopard’s presence did not go unnoticed and it was not long before some kudu and impala started alarm calling at them. Alarm calls alert all the general game in an area that there is a predator around. 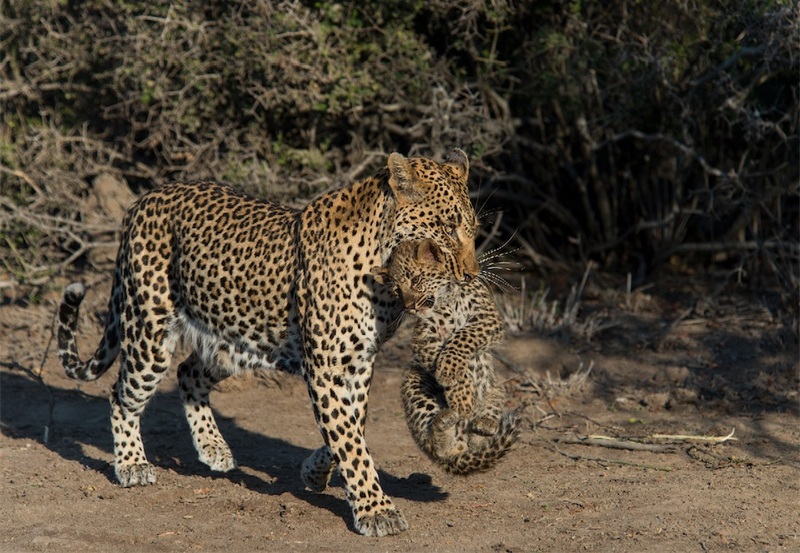 However they also alert any other predators in the area and this is the kind of attention the female leopard did no need for her little cub…so she picked him up and carried him off to safety! 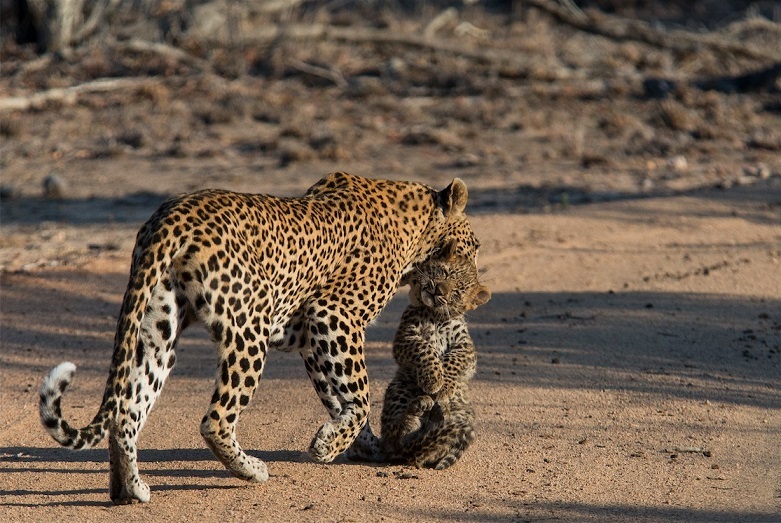 Any avid safari-goer will know that seeing a leopard let alone a leopard cub is really special. 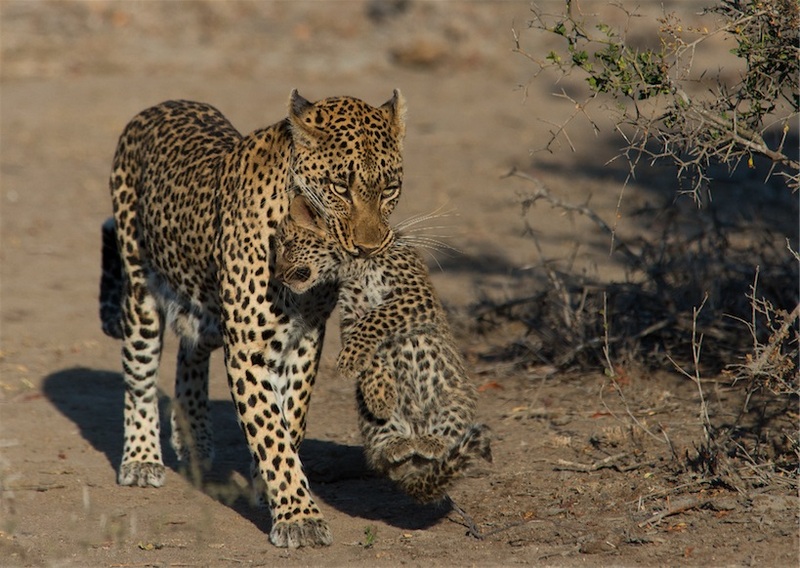 But seeing and being able to photograph a female leopard carrying her cub to safety has to rank as one of the more special sightings in the bush! I can tell you a lot of people are very envious when someone has this sort of privilege and not to only witness it but to take fantastic shots too! 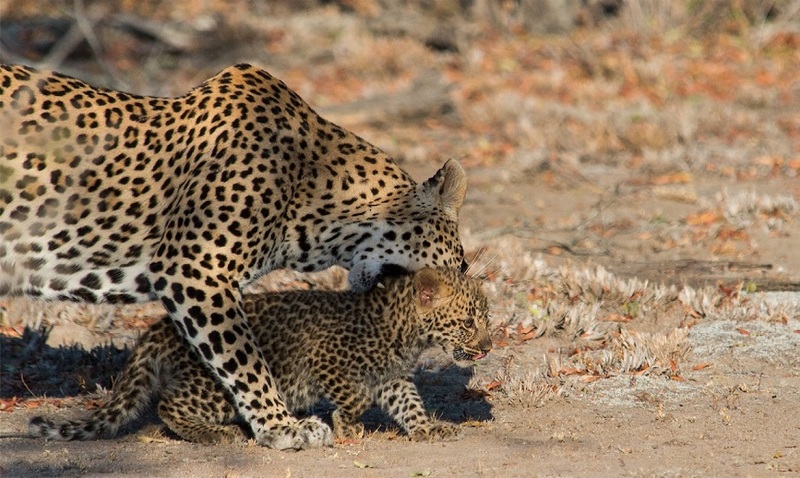 While Africa’s wildlife is constantly under threat and while we are seeing huge declines in some of the large predator populations, leopards with their secretive habits are real survivors by nature and are still doing very well in some of Africa’s less disturbed areas. 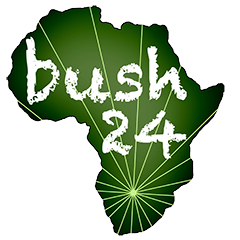 One study in the Kruger National Park found that within a 5km radius of Skukuza, the Kruger National Park headquarters, that their were an incredible 25 adults using this area as part of their territory. While lions are reported to number around the 20 000 mark in Africa, leopards number well into the hundreds of thousands still. A big thanx to Jacques for sharing this excellent set of photographs he captured!